One of my Thirteen in 2013 goals is to find time in my schedule to run regularly, and so far that is going really well! My class schedule is pretty light this semester, so I have time to run pretty much every afternoon, and I've been sticking with it. I find that I feel so much better and more energized after a run, and it helps me concentrate when I spend the evenings reading all sorts of historical documents (some definitely more interesting than others). I've never been able to run without music, and one thing that always really annoyed me was the way that earphones had a tendency to start falling out of my ears after I had been running for awhile (does that happen to you?!). I got a pair of Urbanears Medis earphones, and I am happy to report that they are a complete game changer. 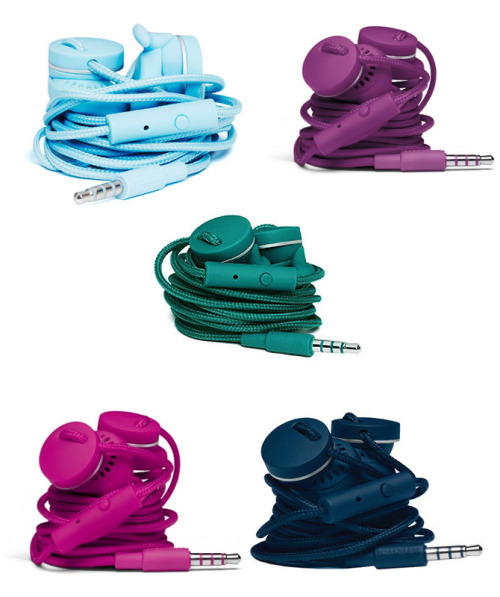 They have a clip at the top that keeps them secure in your ears, and they literally cannot fall out. I can run for miles without any problems at all, and that makes me quite happy. Not to mention, I love all the bright colors they come in. Do you have any running (or workout in general) necessities?